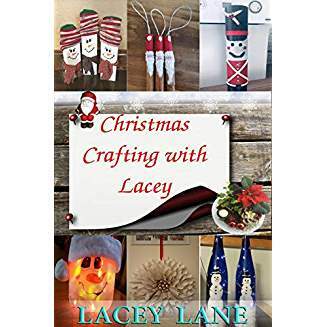 Here’s my five star review of ‘Christmas Crafting with Lacey’. This is a short craft book, packed with lots of ideas for Christmas crafts. All the ideas are worth trying and give professional looking products. The author rightly points out, that children doing these crafts should be supervised, as she uses, for example, scissors and glue guns for some of the crafts. In some ways the book is like a recipe book; you get the ingredients you will need for each craft and then the instructions. It is clear, well set out and illustrated with beautiful coloured pictures. So if you are looking to personalize your Christmas, this is the book for you. You can purchase this book on Amazon’s Kindle for £1.99 in the UK here. In the US you can purchase it for $2.55, here. Thank you so much Sarah. I’ve reblogged. It’s very easy to identify with people living on Earth in the fifth millennium, made so by the clever use of recognisable everyday items upgraded, and how matter-of-fact people were. Rooms could be made smaller or larger depending on whether you needed space to entertain friends or to sleep in the bedroom. “Of course, we have to be careful not to drop things or the mechanism jams.” Also, the geography of what remains of inhabitable Earth is clear, and it is frighteningly believable that man would have polluted most of the planet. This is a charming tale about a little girl who would love to have a pet. She makes friends with a bee. 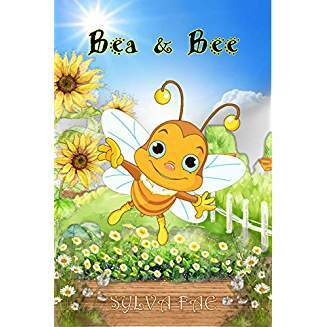 Throughout the story she finds similarities between herself and the little bee. The book is well written and beautifully illustrated. An added bonus is some factual information at the end of the book about how to care for an injured bee and what flowers and plants they like. I’d definitely recommend this book for little ones. You can buy the book here or in the US here. It costs £1.99 on Kindle and £4.00 in paperback. In the U.S. It’s $2.56 on Kindle and $6.50 in paperback. It would make a great Christmas gift.